If all cooks were limited to choosing just one main ingredient, it would be rice.Rice is an essential part of the daily diet in many parts of the world.Mexican Rice Recipe is a colorful and tasty side dish to accompany most home-cooked Mexican meals.It goes great with refried beans to complement the main course, along with the traditional corn tortillas. 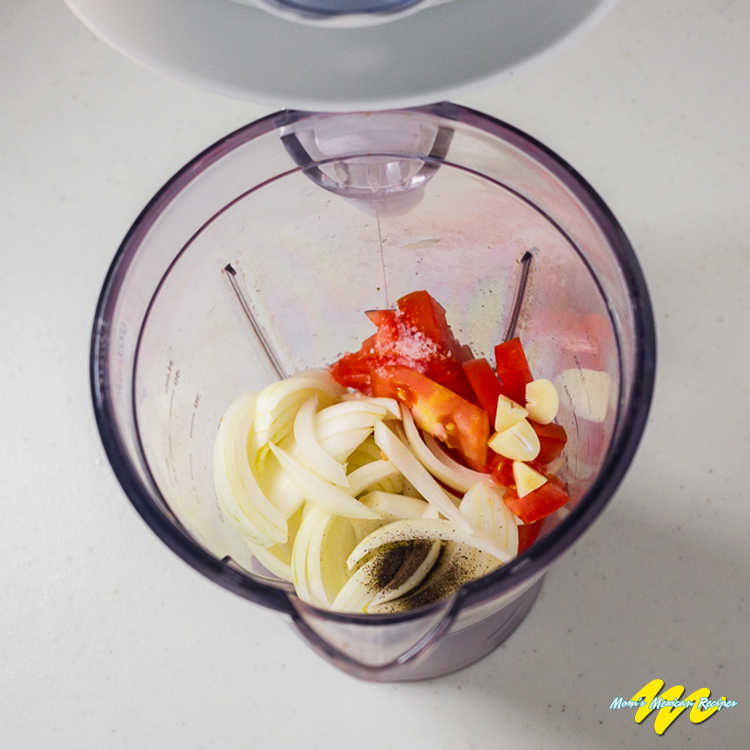 Blend the tomatoes, onion, garlic, salt and pepper. Strain and set aside. Fry the rice in the oil. Add the blended mixture –step 1. Add the celery, peas, carrots, jalapenos, parsley, chicken broth, and lemon juice, with salt added to taste. As it begins to steam, cover and continue cooking with low heat. Cook until done, a period of about 20 minutes. 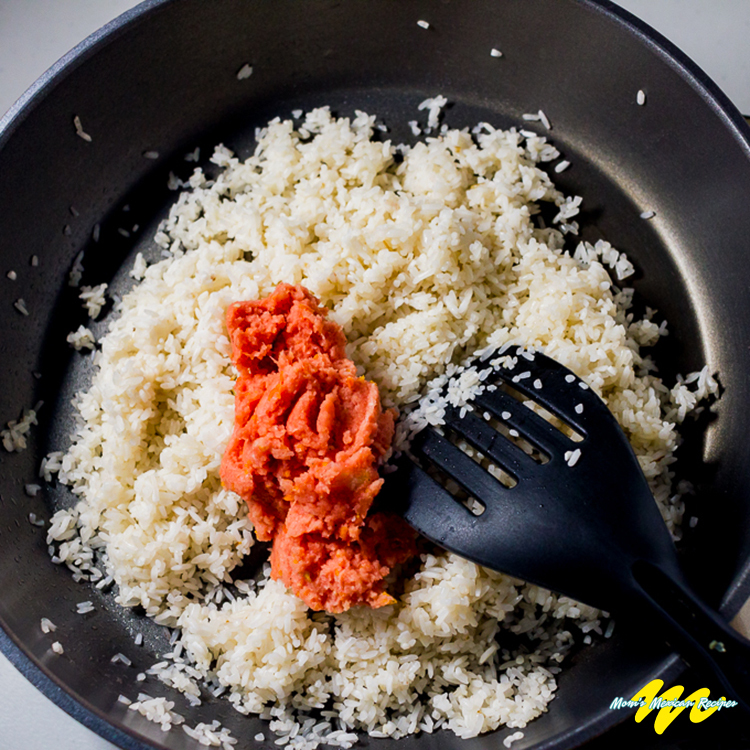 Perhaps the best advice when it comes to cooking rice is to simply leave it alone. It is tempting to stir and mix while it is cooking. Unfortunately, too much stirring can negatively impact the grains; leading to a rice that is too soft or sticky. Normally rice is cooked in plain water. Adding a quantity of chicken broth is a good idea and improves taste. If broth is not available you can season the water with a small quantity of lemon juice, flavored vinegar and a pinch of herbs. Rice should be kept fresh and stored in a cool place. This helps to minimize the loss of its nutritional contents. Hermetically sealed and refrigerated rice can remain fresh for as long as a year. 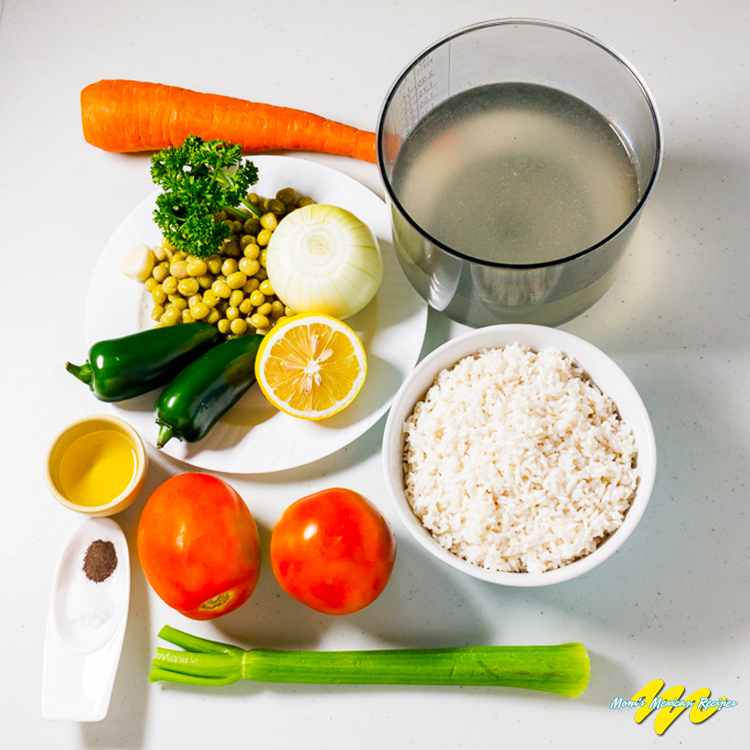 Many of the nutrients in rice are filtered into the water while in the process of cooking. So it is best to cook until most of the water has been absorbed, rather than strain the excess. 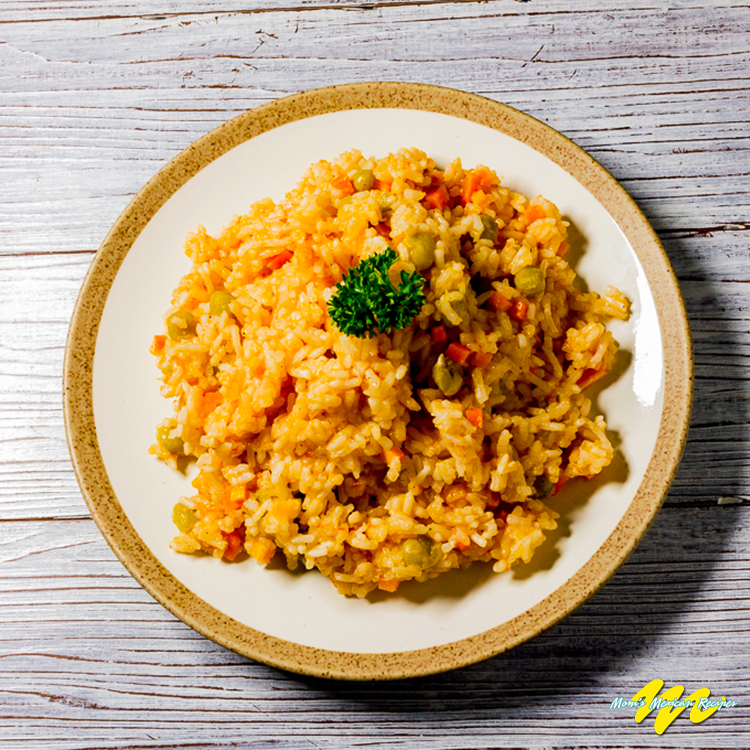 RICE is high in carbohydrates and amino acids. It contains vitamins E, B1, B2, minerals, Phosphorous, Iron, Potassium, and Calcium as well as niacin and riboflavin. , Its properties are ideal for control of gastrointestinal disorders, diabetes, hypertension and cholesterol. CARROTS are rich in phosphorus and vitamin A, C, B6 and fiber. Its nutritional potency helps improve vision and maintain healthy skin. It is an antioxidant and is good for the digestion and overall health. CELERY contains vitamin C and potassium. It works to cleanse the body of liquid toxins. Suggestions / Comments regarding the Recipe? Comment below. Don’t Forget to Like our Official Facebook Page for more Mexican Recipes.